Mike joined Imperial Design Personnel as a Technical Recruiter in 1997. Within two years he was promoted to an Account Manager. In 2003, Mike was promoted to Placement Director. IDP realized nearly 20% growth in the 1st year of his leadership, and that growth trend continues. Mike has been instrumental in diversifying IDP’s client base always striving to exceed the customer’s expectations. Mike is an active member of HRG (Human Resources Group) and serves as the Membership Chairman for LHRMA (Lakeshore Human Resources Management Association). He also is on the GRCC Drafting & Design Advisory Board and has served on the Deacon Board of his Church and School Board at West Side Christian Schools. 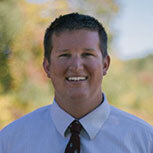 Mike has a passion for sports and enjoys playing softball, golf, and coaching his children’s teams. He is married with 2 children. 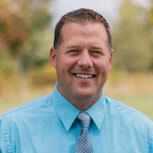 Mike received his BA in Marketing from Grand Valley State University in 1997. 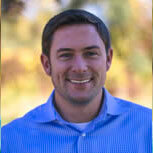 Lonny is a Senior Technical Recruiter for Imperial Design and has been with the company since 1998. He specializes in Engineering, Design and Management placement for companies in the Food, Automotive, Aerospace, Furniture and Medical Industries. 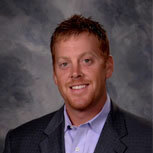 Lonny received a Bachelors Degree in Marketing from Western Michigan University in 1997. Soon after graduating from WMU Lonny began working at Imperial Design and has been with the company ever since. Lonny’s strengths lie in his ability to get to know his candidates on both a professional and personal level to ensure his candidate’s and customers expectations are fully met. This ability to get to know exactly what his candidates and customers require has ultimately led to his success in this field. C.J. Bol has been a Technical Recruiter with Imperial Design Companies since 2005, and specializes in locating qualified Machinists, Fabricators, Maintenance Technicians and other skilled trades personnel. He has experience working with professionals in the automotive, food, aerospace and consumer goods industry. His extensive network of contacts and careful following of industry trends allows him to search quickly and efficiently for candidates that are in the top of their field. C.J. holds a Bachelor in Business Administration with a dual major in Marketing and Management from Grand Valley State University. He brings a strong set of investigative skills to the company, coupled with the intuition necessary to evaluate the true quality of a candidate. He thrives on locating the nearly impossible-to-find candidates and digs deep into a search utilizing as many resources as possible. C.J. enjoys getting to know people and determining the needs of both his clients and candidates through careful listening and evaluation. Monty is a Technical Recruiter for Imperial Design and has been with the company since 2013. Monty specializes in locating talented professionals in the fields of Skilled Trades, Design, and Engineering. Monty also has experience locating talented individuals in the Medical, Automotive, Aerospace, Furniture, Food, and Consumer Goods industries. Monty received his Bachelor’s degree in 2013 from Davenport University in the fields of Business Administration and Management. Monty worked at Sprint as a Business Account Executive through college helping West Michigan businesses with their wireless needs. Shortly after obtaining his Bachelor’s degree he joined Imperial Design’s very talented team. Monty enjoys getting to know his candidates on a personal and professional level. This allows him to locate candidates that really fit into the culture and overall strategy of the company in which they are being placed. This enables the candidate to succeed to their upmost potential. Emily has been an Assistant to our Recruiting Team at Imperial Design since 2011. With a passion for building new relationships with both clients and candidates, Emily warmly welcomes individuals at our front door, and on the telephone. Connecting with our candidates on a personal level, she provides them with the one-on-one knowledge of our Company Policies as well as keeping them up to date with current Benefit information. By following up with candidates after recent placement with our clients, Emily helps to ensure our friendly and approachable environment here at Imperial Design. 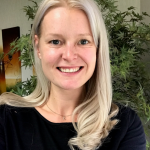 Samantha joined Imperial Design as an assistant to the recruiting team in October 2018. In addition to being a recruiter’s assistant, Samantha is also taking on the role of Marketing Coordinator for us at Imperial Design Personnel. 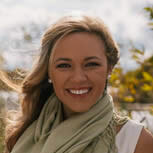 Samantha assists recruiting efforts by creating and updating marketing strategies, as well as meeting with candidates for new hire orientation, answering our phones, and maintaining employee relationships.